Learning and development professionals and practices add great value to organisations – yet many L&D practitioners struggle to prove it. It is vital to be able to demonstrate an organisation’s return on its L&D investment, which is why we offer a range of ROI coaching, consulting and certification services to suit all needs. We can help you see and show the value of what you do. And the ROI Methodology® is the most used evaluation system in the world. Many of us think we know about measuring ROI on our L&D projects – but do you really know what the term means, or is ROI just another acronym to you? Take our ROI Quiz to find out how much you really know about how to use ROI with your projects and why measuring using ROI makes a difference. If you need focused project or programme-specific assistance, then our consultancy services, in-house and external training workshops, and coaching in ROI are ideal. We are the only NZ business partner for the ROI Institute®, so apply the robust ROI Methodology® in all of our ROI work. This results-based return on investment approach is ideal for evaluating the effectiveness and measuring the bottom-line contribution of HR, L&D, and other organisational initiatives. We also have an online evaluation tool, which can help you collect the right data to measure impact. 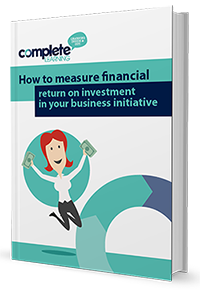 Contact us to discover more about how to prove your organisation’s return on its L&D investment. Become a Certified ROI Professional® through the ROI Institute’s world-leading ROI workshop and certification programme. 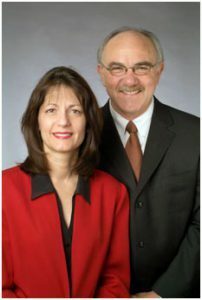 At this five-day workshop, facilitated by world-renowned measurement and evaluation experts and authors Jack and/or Patti Phillips of the ROI Institute® and/or by us at Complete Learning Solutions, you will master all the skills to implement a comprehensive ROI evaluation in your organisation. The ROI Institute offers ROI Certification® workshops worldwide and at Complete Learning Solutions we offer them locally. We can also customise one for your organisation. Contact us to find out more about workshops in New Zealand, or visit the ROI Institute® website for dates for upcoming workshops in the United States and other countries. Want to know more? Download the full ROI Certification® brochure.